Are you about to graduate? Your graduation is a wonderful time of celebrating your achievements. You can count yourself lucky because you’re finally getting out of the almost never-ending loop between finishing your exams and starting the next semester. Reason enough to celebrate with a great list of inspirational graduation quotes! PS: Be sure not to miss our hilarious collection of epic and funny senior quotes. No matter if you graduate from college, high school, or university, graduation marks the end of an important chapter in your life. All the hard work and effort is finally starting to pay off. Your graduation will compensate for all the difficulties and the struggles you had to go through during your time in school or university. And let’s face it, your teachers and professors made you go through some pretty tough stuff so there’s a lot to celebrate. Graduating is like a ride on a roller coaster. It reminds you of the great time you’ve had at your school or university. But it also highlights how much time and effort you’ve had to invest to get where you are today. In short, your graduation ceremony is a reflection of your academic successes but also the trials you had to endure. 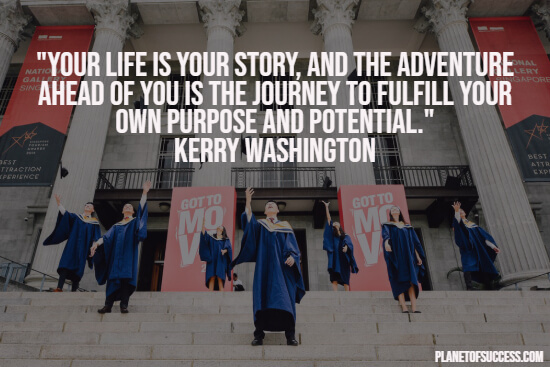 When graduation season arrives, students all across the country are listening to some great advice about pursuing their passions and having an impact on the world. 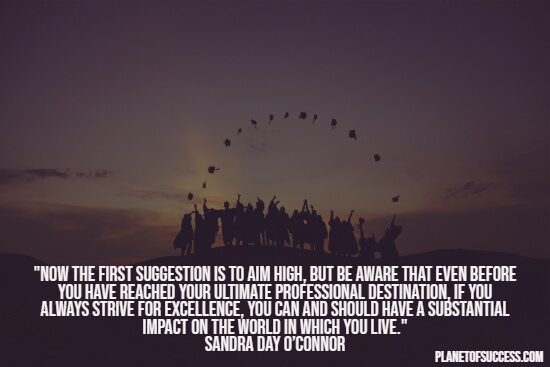 And even though not every graduation speech is truly remarkable, there are quite a lot of profound insights in those inspirational graduation quotes. Luckily for you, you don’t need to jump from one graduation celebration to another to get all this valuable advice in a condensed form. 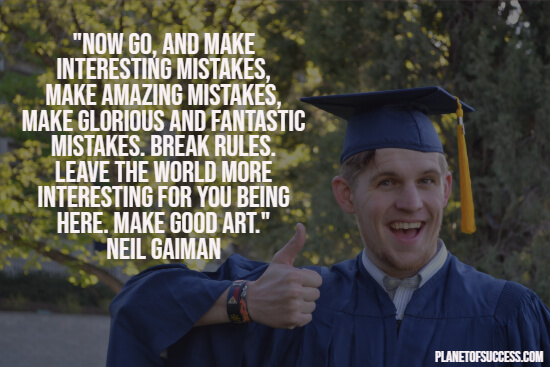 Just read on, and have a look at our selection of the greatest thoughts about graduating. 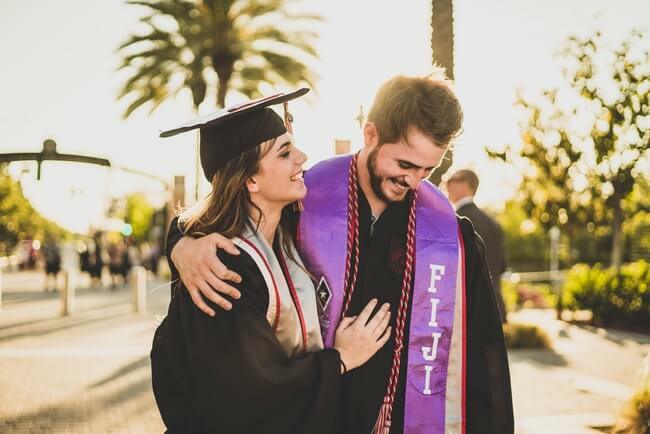 No matter if you yourself are graduating or a close friend of yours, it’s not that easy to come up with some pretty inspirational words about graduating. That’s where our collection of truly remarkable graduation quotes comes in quite handy. Here you can find some of the most inspirational thoughts on graduating. As a bonus, we’ve also added some funny graduation quotes for you. And if you’re graduating from high school or college, have a look at our high school graduation quotes and college graduation quotes. 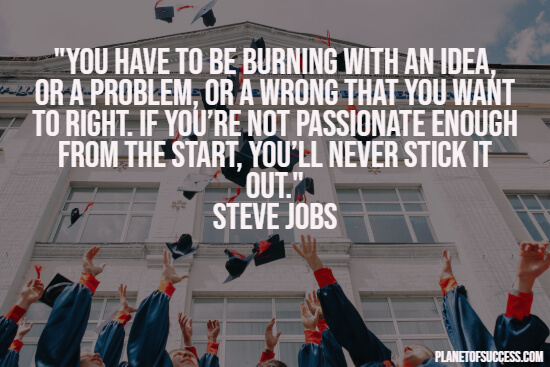 If you’re in a rush, these short graduation quotes will do to job as well. 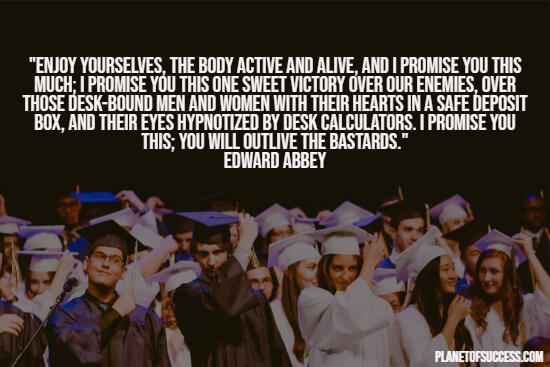 I hope you enjoyed this collection of graduation quotes.